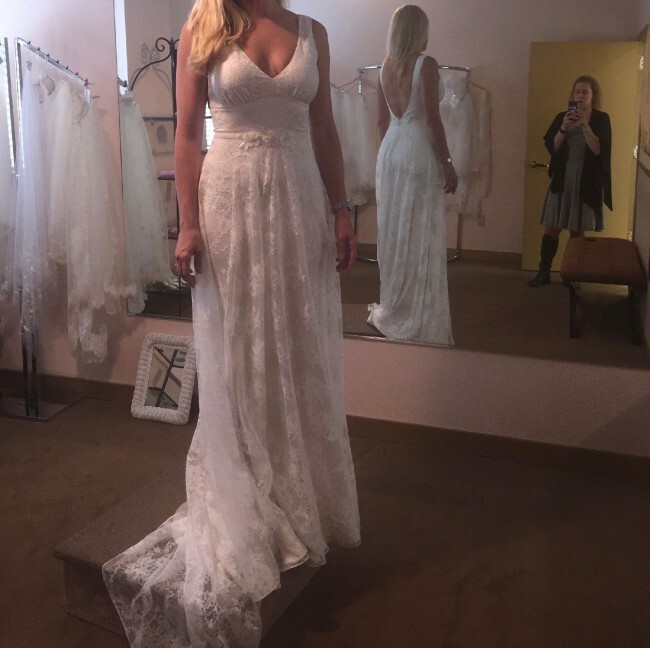 I got this beautiful dress for a May 2017 wedding and then had to change my wedding date because by husband broke his ankle! I decided to go with another Claire Pettibone. This one posted is custom made in all ivory including the silk dress, lace and sash and has never been worn so it is in perfect condition.